Enter now the Henkel Clean Up With Savings Contest to get a chance to Win an LG Twinwash washer and dryer. To enter you have to purchase any 3 participating Henkel products at a participating retail store and take a photo of the receipt, then visit the official contest web page located at cleanupwithsavings.com and upload it along with the fully completed entry form. The contest ends at 11:59 pm ET on May 31, 2019. Winner will be selected by random draw from all eligible entries. 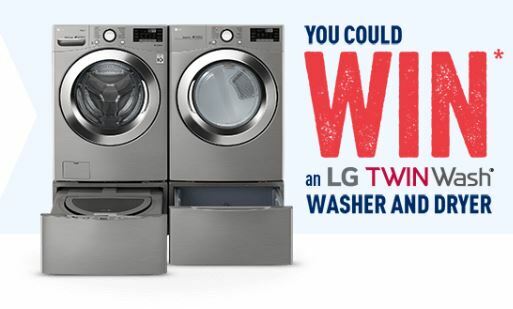 The Grand Prize consists of an LG Twinwash Washer and Dryer valued at $4,000. The Henkel Clean Up With Savings Contest begins on April 1, 2019 and ends on May 31, 2019. The draw will take place on July 2, 2019. Winner will be contacted by phone and/or email.